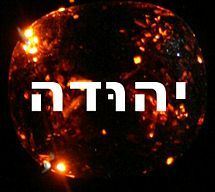 Josiah (Hebrew: יאשיה, Yōshiyāh; Greek: Ἰωσίας, Iōsias; "Name means::supported by YHWH") (649 BC-r. 641 BC-610 BC according to Ussher, or 648 BC-r. 640 BC-609 BC according to Thiele) was the fifteenth king of the Kingdom of Judah of Israel in direct line of descent. Some commentators suggest that Josiah, rather than David, qualifies as the greatest of the kings of ancient Israel. He certainly stands as one of the greatest of Israel's kings and one of that society's two greatest reformers. (2_Chronicles 34:2 ) His reign is also significant for the beginning of the assembly of the Old Testament and for being king during a pivotal time in Middle Eastern history. Also at sixteen, he married a woman named Zebidah and by her had a son named Jehoiakim, called Eliakim when he was born. Two years later (at eighteen), he married another woman, named Hamutal, and by her had a son named Jehoahaz (originally named Shallum). He also had another son by this woman, named Zedekiah (or Mattaniah at his birth), when he, Josiah, was thirty-one years old. The political situation in the ancient Near East at the time was critical to Josiah's activities and the eventual fate of the Kingdom of Judah. The Assyrian king Esarhaddon had died long ago, in 669 BC. Conventional Assyriologists (and Floyd Nolen Jones sees no reason to disagree) hold that Assur-bani-pal (or "Saosduchinos"), Esarhaddon's successor, was still on the throne at the time; Ussher states that his successor Ashur-etil-ilani, called "Saraco" or "Saracen" or Kineladanos" by classical sources, had succeeded to the throne a year after Josiah was born. At least one other source says that Assur-bani-pal died at this time, and that near-chaos supervened. Everyone seems to agree, however, that the empire of Assyria was far weaker than it once had been under men like Esarhaddon and his predecessors. Egypt, under Pharaoh Psammtik I, had broken away from Assyria, and Babylonia would soon see the rise of a new king (Nabopolassar) who would break it away and supplant Assyria as the dominant power in the region. Nor did he stay within what was, strictly speaking, his home territory of Judah and Benjamin. In what some commentators suggest was part of a bid to regain control of the former territories of the Kingdom of Israel, he ventured into the old tribal territories of Ephraim, Manasseh, Simeon, and Naphtali. (2_Chronicles 34:6 ) The Assyrian king (whichever was on the throne at the time) was too weak to interfere. In the thirteenth year of his reign, the prophet Jeremiah began his career, howbeit reluctantly. (Jeremiah 1:1-17 ) Baleful as Jeremiah's message was, Josiah never once molested Jeremiah in any way, shape or form. His sons would not be so forbearing. In the sixteenth year of his reign came an event of which Josiah appears to have taken little notice at the time, though it would be relevant to the manner of his death. In that year, Nabopolassar contracted a military alliance with Astyages of the Medes. Together they attacked Nineveh, the capital of Assyria, and reduced it to a ruin. Nabopolassar was now in command, and Ashur-etil-ilani now ruled a shadow of what Assyria had recently been. In the course of clearing out a Temple storeroom, Hilkiah found a scroll. (2_Kings 22:8 , 2_Chronicles 34:14-15 ) The Bible calls this "the book of the Law as given by Moses." Most scholars theorize that this was the book of Deuteronomy, but at least some hold that this book contained all five of the "Books of Moses". Still others state that even more books of the Old Testament were included in the find. Malick presents, and effectively refutes, the proposition that Hilkiah's finding was a "late edition" of Deuteronomy, mainly on the ground that Josiah must have had some education in the laws as stated in Deuteronomy during the first six years of his reform program. He therefore concludes that it was at least an early edition of Deuteronomy and might indeed have been the entirety of the Torah. Wood theorizes that Solomon left this book in the Temple when he laid its cornerstones, and that this is why it survived the destruction, presumably by Manasseh, of all other copies. In 609 BC, Pharaoh Necho II marched toward Carchemish in an effort to intervene against the rising empire of Babylonia. Literally Necho was marching against Assyria; technically this was true, but Assyria as such no longer existed and Nabopolassar now considered himself "king of Assyria" after he had conquered it. Necho's march would carry him across the territory of the Kingdom of Judah. Josiah, for whatever reason, determined to oppose Necho. Necho sent ambassadors warning him that he was on an errand from God himself and that Josiah had no business interfering. Nevertheless Josiah joined battle with Necho at Megiddo. (2_Chronicles 35:20-22 ) This battle likely took place shortly before 1 Abib 3395 AM, possibly on Killed in action::25 Adar 3395 AM. Thiele asserts that the Battle of Megiddo took place in the month Tammuz, but Jones points out that Necho went on to fight a battle at Carchemish in the summer of that year, and would have required time to rest his troops after Megiddo and then march them to Carchemish. More to the point, had the battle taken place after 1 Abib, the Bible would have had to say that Josiah reigned thirty-two years in Jerusalem, not thirty-one. Josiah's son Shallum, or Jehoahaz, succeeded him. ↑ 2.0 2.1 2.2 2.3 2.4 2.5 Jones, Floyd N., The Chronology of the Old Testament, Green Forest, AR: Master Books, 2003, Chart 5. ↑ 7.0 7.1 7.2 7.3 7.4 7.5 7.6 7.7 Dennis Bratcher, The Rise of Babylon and Exile (640-538 BC), 2006. Retrieved April 9, 2007. ↑ 9.0 9.1 9.2 Marvin A. Sweeney, King Josiah of Judah: the Lost Messiah of Israel, Oxford University Press, 2001. ISBN 978-0-19-513324-0 Online version retrieved April 9, 2007. This page was last modified on 13 November 2013, at 01:52.